IISc collaborates with various government organizations like DRDO, ISRO, Bharat Electronics Limited, Aeronautical Development Agency, National Aerospace Laboratories, CSIR, Department of IT (Government of India). IISc also works in collaboration with private industry and research labs like Centre for Development of Advanced Computing, Google Inc, General Motors, Microsoft Research, IBM Research, Robert Bosch Foundation and also with Pratt & Whitney. Few organisations have been incubated by Society for Innovation and Development (SID) in the campus, viz Morphing Machines,SandI , while Gamma Porite is currently under incubation. IISc actively promotes and supports ventures by faculty, students and alumni. Strand Life Sciences, Ittiam are some success stories of this initiative. National Aerospace Laboratories (NAL), is India's second largest aerospace firm after Hindustan Aeronautics (HAL). It was established by the Council of Scientific and Industrial Research (CSIR) at Delhi in 1959 and its headquarters was later moved to Bangalore in 1960. 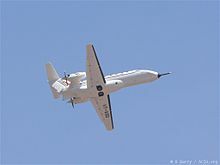 The firm closely operates with HAL, DRDO and ISRO and has the prime responsibility of developing civilian aircraft in India.CSIR-NAL mandate is to develop aerospace technologies with strong science content, design and build small and medium –sized civil aircraft, and support all national aerospace programmes. NAL is a high technology oriented institution concentrating on advanced topics in the aerospace and related disciplines. Originally started as National Aeronautical Laboratory, it was renamed National Aerospace Laboratories to reflect its major involvement in the Indian space programme, its multidisciplinary activities and global positioning. It is India’s only civilian aerospace laboratory with a high level of competence and the expertise of its scientists is globally acknowledged. NAL employs a staff of about 1300 with about 350 full-fledged R&D professionals. NAL is equipped with facilities such as the Nilak ntan Wind tunnel Centre and a computerised fatigue test facility. NAL also has facilities for investigating failures and accidents in aerospace. National Aerospace Laboratories (NAL), a constituent of the Council of Scientific and Industrial Research (CSIR), India, is the only civilian aerospace R&D laboratory in India. CSIR-NAL is a high-tech oriented institution focusing on advanced topics in aerospace and related disciplines and has a mandate to develop aerospace technologies with strong science content, design and build small and medium-size civil aircraft and support all national aerospace programmes. General Motors Company (NYSE: GM, TSX: GMM.U), commonly known as GM (General Motors Corporation before 2009), is an American multinational automotive corporation headquartered in Detroit, Michigan, and among the world's largest automakers by vehicle unit sales, employing 202,000 people and doing business in some 157 countries. General Motors produces cars and trucks in 31 countries, and sells and services these vehicles through the following four regional segments, which are GM North America (GMNA), GM Europe (GME), GM International Operations (GMIO), and GM South America (GMSA), through which development, production, marketing and sales are organised in their respective world regions, plus as fifth segment GM Financial. :p.12/13 In total, General Motors currently owns 10 official automobile brands; Baojun, Buick, Cadillac, Chevrolet, GMC, Jiefang, Opel, Holden, Wuling, and Vauxhall. GM acts in most countries outside the USA via direct subsidiaries, but in China through 10 joint ventures, among them Shanghai GM and SAIC-GM-Wuling Automobile. :p.18 GM owns (per 31 December 2011) 77.0% of its joint venture in South Korea, GM Korea. :p.96 GM's OnStar subsidiary provides vehicle safety, security and information services. First Automotive Works and General Motors formed a joint-venture called FAW-GM focusing on commercial vehicles in China.